The 10 Best Mexican Restaurants in Nebraska! Is there anything better than enjoying some fresh tacos and a basket of chips and salsa? There are some incredible Mexican restaurants in Nebraska that are perfect to satisfy any Mexican cuisine craving. When that hunger hits, one of these 10 great Mexican restaurants will surely satisfy. If you’re looking for an affordable and quick bite to eat, stop into Los Portales for fresh and tasty Mexican dishes. From tacos and enchilada to tamales and tortas, this is a true hidden gem for fantastic Mexican food in Omaha. Super Taco is a fantastic little Mexican restaurant tucked into a small storefront in Lincoln. With generous portions and super fresh ingredients, Super Taco is possibly the best choice if you’re looking for authentic Mexican food in Nebraska. At Tacos Las Palmas in Grand Island you’ll find nothing but flavorful dishes and authentic Mexican food. For a quick lunch or a family meal, Las Palmas has a great selection of all the classics plus fresh sauces to accompany every meal. This Mexican restaurant may be small, but everything on the menu at Taqueria Tijuana is jam-packed with flavor. The word on the street is these are the best tacos in all of Nebraska—so don’t miss an opportunity to stop in and see what everyone is raving about! For a healthier escape at lunch or dinner time, stop into El Vallarta for super fresh and wholesome Mexican favorites. With delicious food and great atmosphere—what more could you ask for in a Mexican restaurant? The best thing about Pancho Villa in Lincoln might just be their salsa. The delicious tomatillo and avocado concoction makes everything on the menu that much more delicious. Whether you order the tacos or the chimichangas, you can’t go wrong at Pancho Villa. Komal Mexican Taqueria in Kearney serves up some of the best Mexican food in this part of the state. Everything on the menu is made fresh to order with a side of rice, beans, and delicious sauces. The specialty on the menu at El Rancho is the menudo. However, if you’re not such an adventurous eater, don’t worry. There are tons of options to fill a plate full of tasty, Mexican dishes. If you’re in Omaha, don’t miss this top-notch Mexican food favorite! Hook & Lime is a newer addition to the local Mexican food scene in Omaha. With a fantastic downtown location, this hip taco joint offers delicious, fresh Mexican dishes in perfect portion sizes. 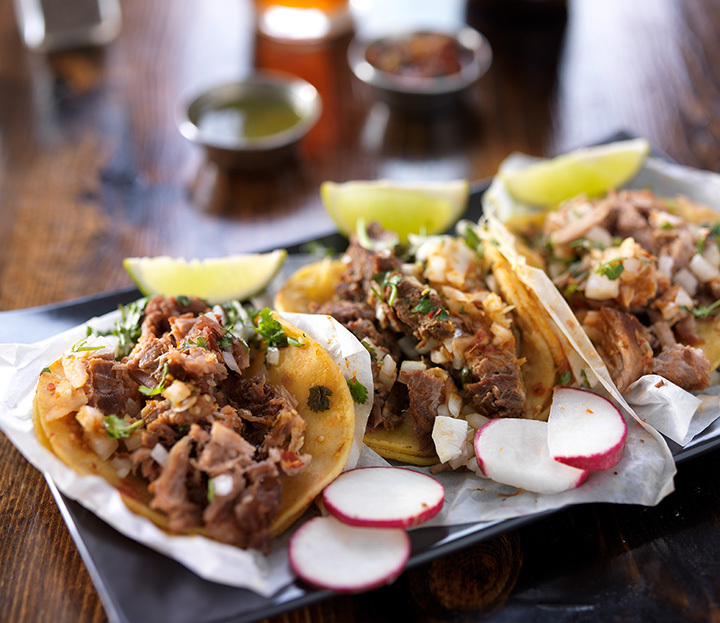 Taqueria El Rey is the ultimate place to enjoy five star tacos in Lincoln. This “hole in the wall” Mexican restaurant is as authentic as they come—with real Mexican spices, cheese, and bottled soda. Add this family-run taco joint to your list the next time you’re craving something spicy!